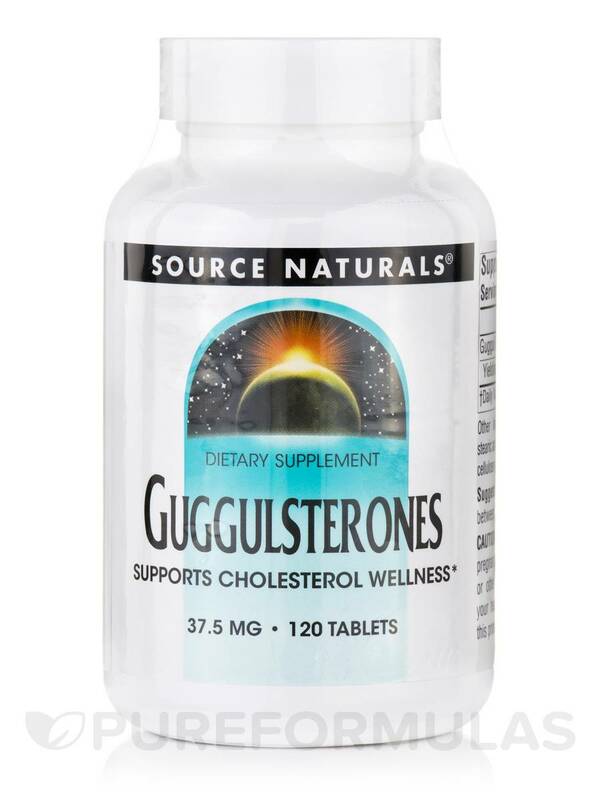 Guggulsterones by Source Naturals helps with thyroid function and cholesterol metabolism. Smaller pill which is easier to swallow. 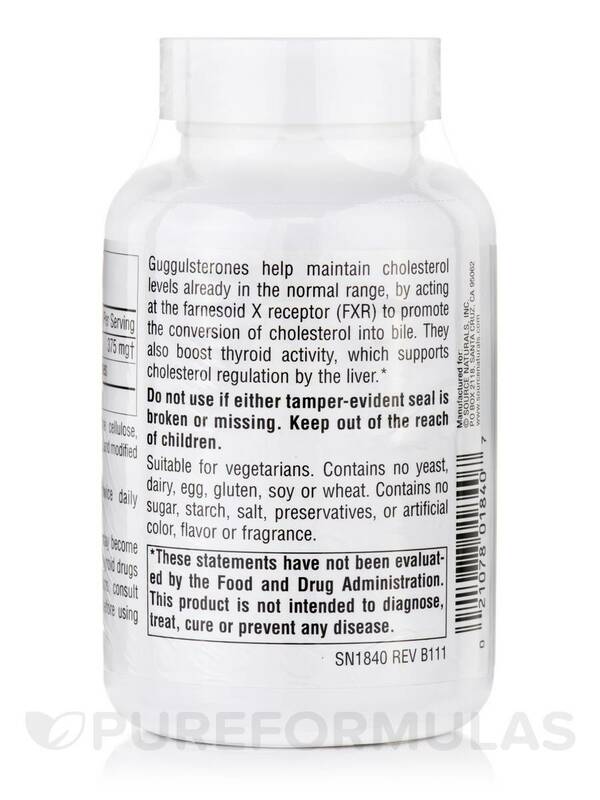 Guggulsterones help maintain cholesterol levels already in the normal range‚ by acting at the farnesoid X receptor (FXR) to promote the conversion of cholesterol into bile. 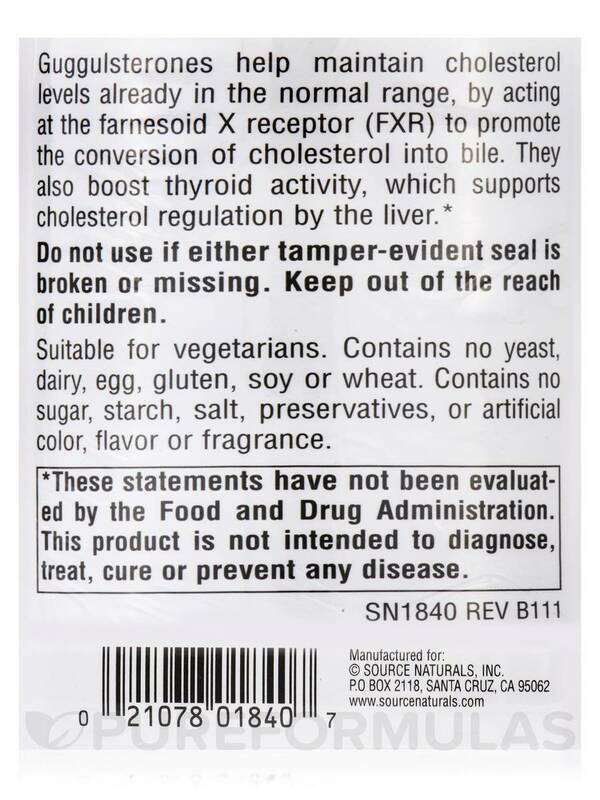 They also boost thyroid activity‚ which supports cholesterol regulation by the liver. 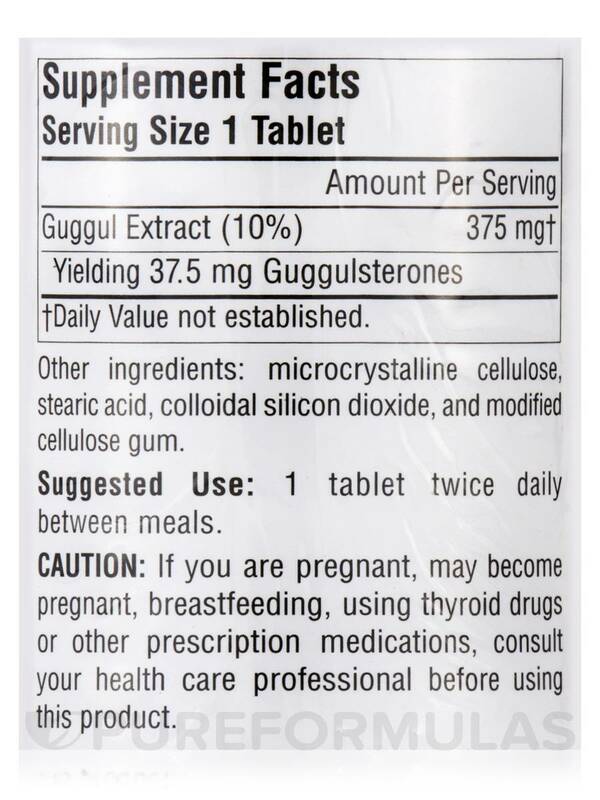 Other Ingredients: Microcrystalline cellulose‚ stearic acid‚ colloidal silicon dioxide‚ and modified cellulose gum. Suitable for Vegetarians. 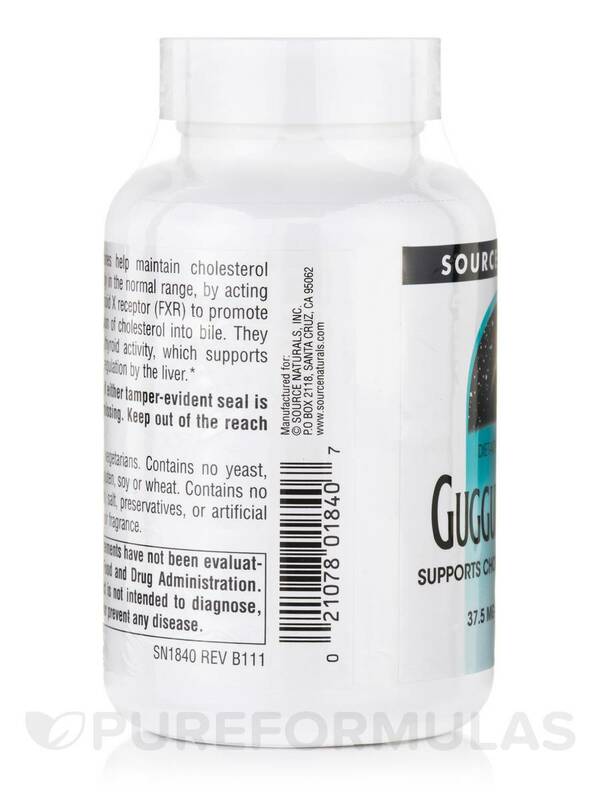 Contains no yeast‚ dairy‚ egg‚ gluten‚ soy‚ wheat‚ sugar‚ starch‚ salt‚ preservatives‚ artificial color‚ flavor or fragrance. 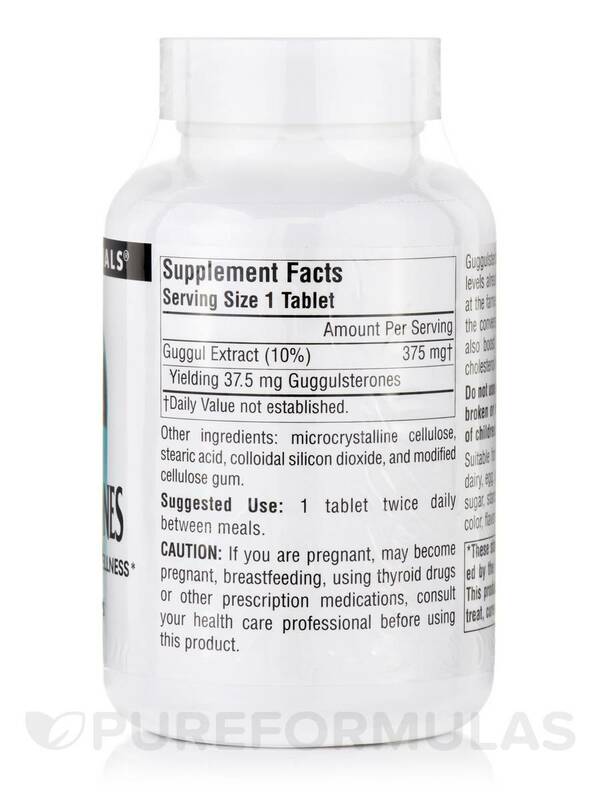 If you are pregnant‚ may become pregnant‚ breastfeeding‚ using thyroid drugs or other prescription medications‚ consult your healthcare professional before using this product.